Chen He literally can't kill you. Valla Swap her and she's dead. Li-Ming She can't kill you. No worries. Cho You are able to deal with them later in late game. Gall You are able to deal with them later in late game. Xul Dodge his Prison with well timed Q. AS slow. Hard times. Li-Ming Easy to kill with Zealot Charge. Can't really kill you. I'm Rokeslosh. Greetings from beyond the monitor. I used to play League/Dota back in the day and now i'm full-time HotS player. Recently I achieved rank 1 with ~69.4% win rate. My goal here is to teach you how to perfectly play as Artanis and find the best way to build him. Well, you shouldn't. Take everything I say then adapt to your play style. Never just blindly do what others say. Use your own brain to judge what is worth taking and what should be ignored. I hope you will find my guide being useful. I apologize for any grammar mistakes. Artanis is a melee bruiser with a huge amount of survivability and absurd dps output. His main strength is AA's, so his weakness. Artanis is fun to play especially after lvl 16. At 16 lvl he becomes a real threat. You should watch his every step. Artanis is able to make some flashy plays with his ability and Phase Prism you right into your team. Since recent changes Artanis could become a really tanky guy with some dmg. I don't like the tank build but with the recent chanes it is the most effective way to play him. [Zealot Charge] is still the same so it's up to you what build to chose. Artanis has ability to become a main tank after patch 16.4. If your team has some problems dealing damage, consider go for this build. You more likely be a glass cannon but...they can't kill you if they are dead. At lvl 1 take . At lvl 4 go for to maximize your dmg output. At lvl 7 take . Remember your works only for the first AA after activating . Lvl 13 is a standart Triple Strike pick. At lvl 16 you have 2 options: Zealot Charge or Titan Killer. At lvl 20 take Nexus Blades. Actually I like his new changes. It gives us more viriaty and ways to biuld Artanis. The core talents here are Templar's Zeal, Psionic Synergy and Force of Will it makes Artanis nearly unkillable. With the Phase Bulwark talent fear no ability damage. His main tanky abilities that provides you with enough sustain to destroy enemy back line. At later stages of the game you are able to proc shield so quickly making Artanis nearly unkillable. is kinda hard to land in your first games but when you master it feels so satisfying to swap someone in full range. Since we are talking about competitive ranked build I recommend you to take this ult. I find myself picking this ult in like 85% games. is a hard counter to AA heroes like , and has a global range. is amazingly fun to play ability with high dmg output. This ult works with heroes like , , E.T.C.but let's be serious this ult is really slow and easy to outwalk. Its strength is that it makes an enemy hero stay away from teamfight/objectives. Good choice if an enemy team consists of 2+ auto attack based heroes. PVE Artanis?! Still not worth. I found myself taking this talent less and less due to recent patch. Still viable choice. Works with Triple Strike. In late game you should have around 40+ stacks. Remember don't afk farm. Kills and assists give stacks too. Okay..you can bait opponents few times but imagine you stays in lane at 10% hp after trading with your opponent. Exactly! It's pointless. Recall is more viable. Clearing entire wave. Final blow. Style points. Steal skulls. What else? Take it. I don't recommend it in standart build. Since you are easily kitted you won't be able to realize this talent pre 16. At first I thought this is a good talent: adds some CC, more AA options. Unfortunately, it is not that good. At lvl 16 you basically become sticky gum you don't need this slow at all! Blade Dash has enough dmg without this talent. You have better options at lvl 4. Not worth it. Follow Through is a good option both in standart build and YOLOIKILLYOU build. If you feel lack of dmg, take this talent. Completely prevents any auto-attackers to deal their job in a large circle for 4 seconds and it also reveals area. 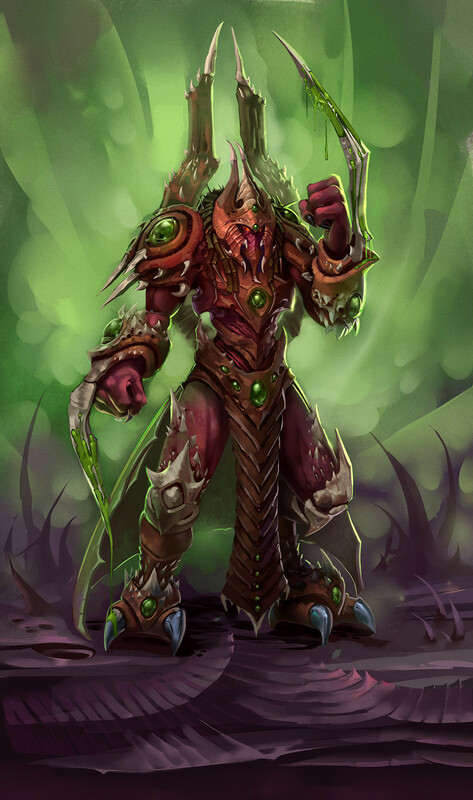 It counters heroes like The Butcher Raynor Valla Illidan, and it also only 50s cooldown! So you should consider picking this ult more often. I'm not a huge fan of this ult but it has its uses: zoning an enemy, adding significant dmg to a wombo-combo. This is powerful against spell heavy comps like Jaina,	 Kael'thas and Li-Ming since at least one of them in every game. Works good in Tankanis build. 2 attacks every 4 seconds or 3 attacks every 5 seconds? Over 20s that's 10 attacks (5 activations ) untalented and 12 (4 activations) attacks talented. Not worth it anymore. Bad version of Stiches's Shish Kabob. This talent makes it even more likely to pull a tank towards your team, and place you in the middle of enemy team. Too dangerous. It could be a good talent in the tanky build due to high survivability. If enemy team lacks of ability damage you can consider taking this talent. Also it gives you some extra PVE. Still need more testing. Good in tanky build but i'm sure Charge is still better. This is a good talent against tanky teams but Artanis has a lowest AA range in the game that means you won't attack your enemies much without Zealot Charge. This talent could be great with Chrono Surge. Still Zealot Charge is a beter choice here. It doesn't give you enough dmg. As I said Zealot Charge is the best option here. I'm not sure if this talent is good enough. There are better options. If you feel like you need more blinds to counter enemy vallaraynotbutchersonyaillidanthrallhammer, go ahead and take it. Extremely fun to play with this talent but it is not enough to be competitive. I like this talent. Basically full time shield reset whenever you use Triple Strike. Depends on playstyle. Simple. If you need more dmg, take this talent. If you need more utility, take Force of Will. Causes your Triple Strike to do about 1000 damage. Hope you guys enjoyed the guide! Any constructive criticism is welcome. If you have any questions, leave them in comment section, and I'll answer them as soon as I can. UPDATE: Patch 16.4 Artanis recieved some buffs. New build. New talent choices.